Our latest gift, just for you! He’s cool, chill, cute and everything you’ve ever wanted in a … snowman. 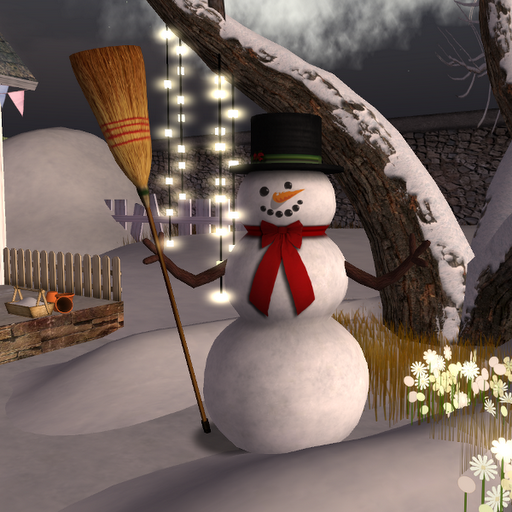 : ) Carrot nose, button eyes, great LOD and only 2 prims. With Regular & Nano maps, he’ll look handsome at any size! He’s a huggie kind of guy just waiting to add a colorful touch to your winter landscaping. If I didn’t know better, I’d think he was related to Frosty. The coolest guy ever is waiting for you to take him home at the Barn, so what are you waiting for? Our wishes for the for the happiest, most joyous holiday season ever! 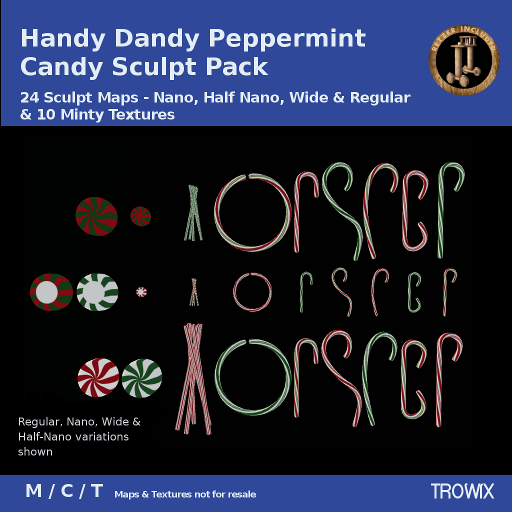 Handy Dandy Peppermint – Candy! Festive and fresh for the holidays. 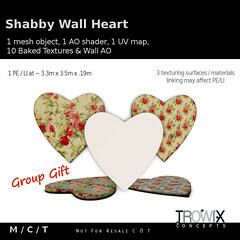 Perfect for last minute group gifts, decorations and more. Nano, Half-Nano, Wide — the perfect size for any project! 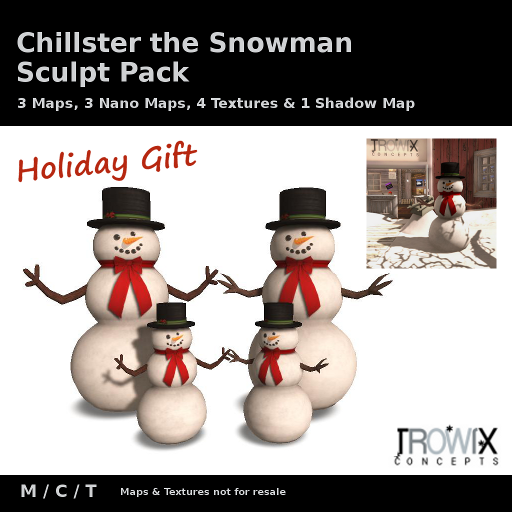 A sculpt pack to be all-season versatile for your builds. Nano, Half-nano, Wide & Regular versions make sure your peppermint will look good at any size. 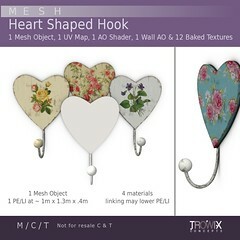 Not only are these tasty-looking candies, but function equally as well for hooks, hangers and nifty decorative pieces. You’ll think of more – enjoy! 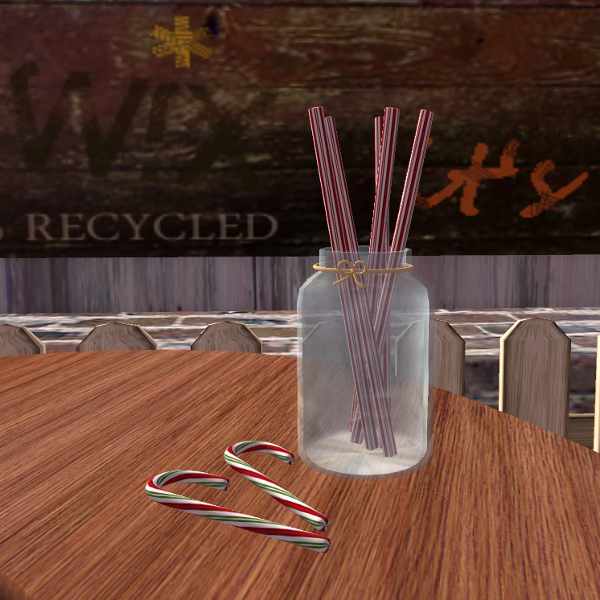 Peppermint-y Sticks and a sneak peek at our Mason jar. 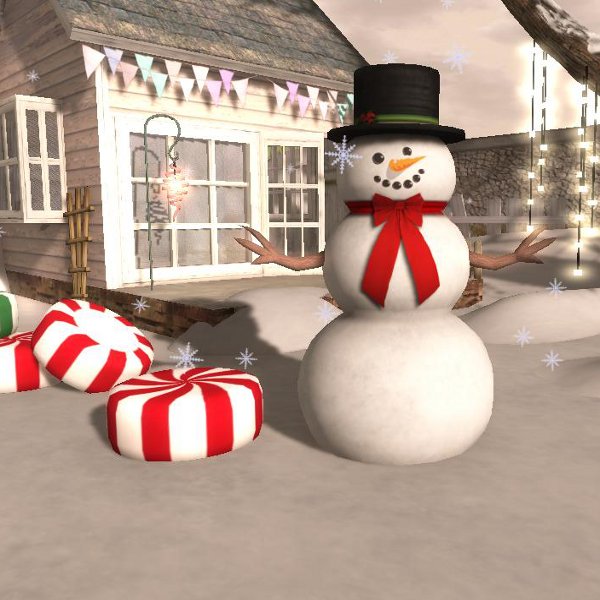 Get your Cool (mint) on, drop by the Barn, or visit SL Marketplace. 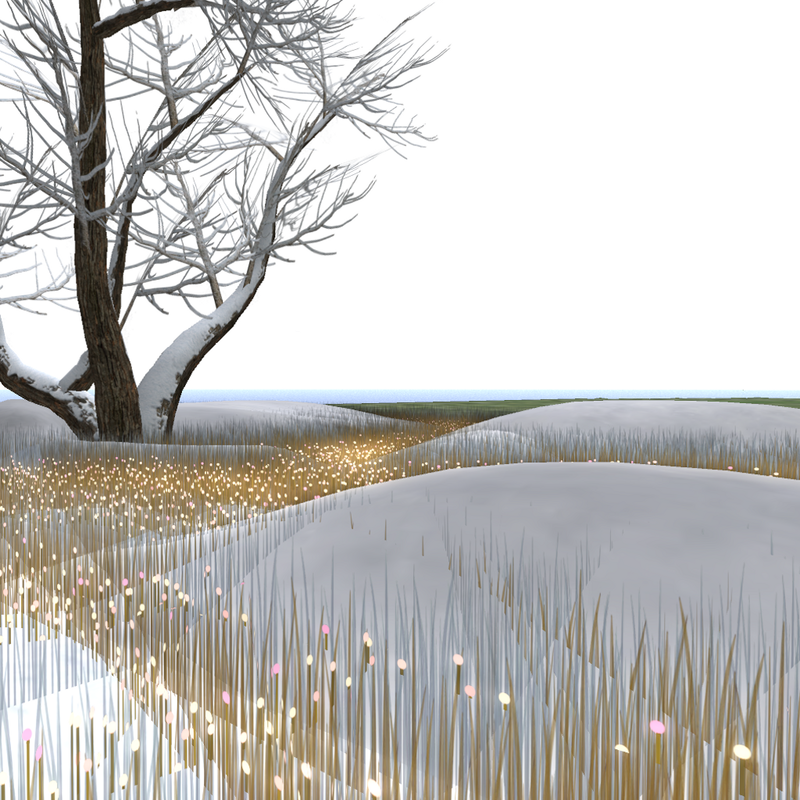 Fresh Snow Baked Textures – Cool! …so we made some snow for our (and your!) virtual world. Baked Snow — isn’t that a Baked Alaska? 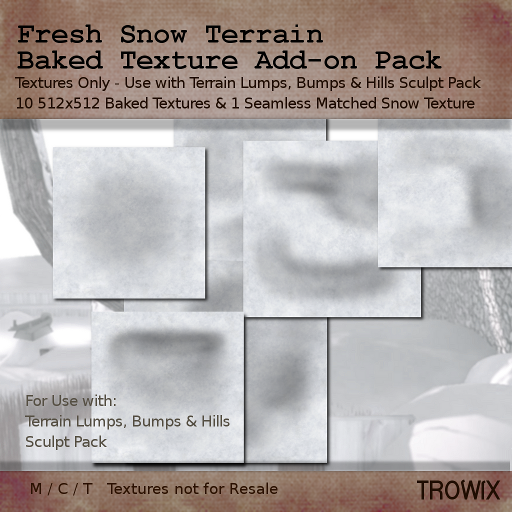 Soft, freshly-fallen snow for the Terrain Lumps, Bumps & Hills Sculpt Pack. 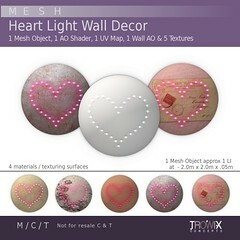 Easily tinted to match any existing texture you have or use the seamless snow included in the pack. Your winter never looked so real! So much snow we had to use a wheelbarrow to clear it! Bring your boots when you visit our Barn. 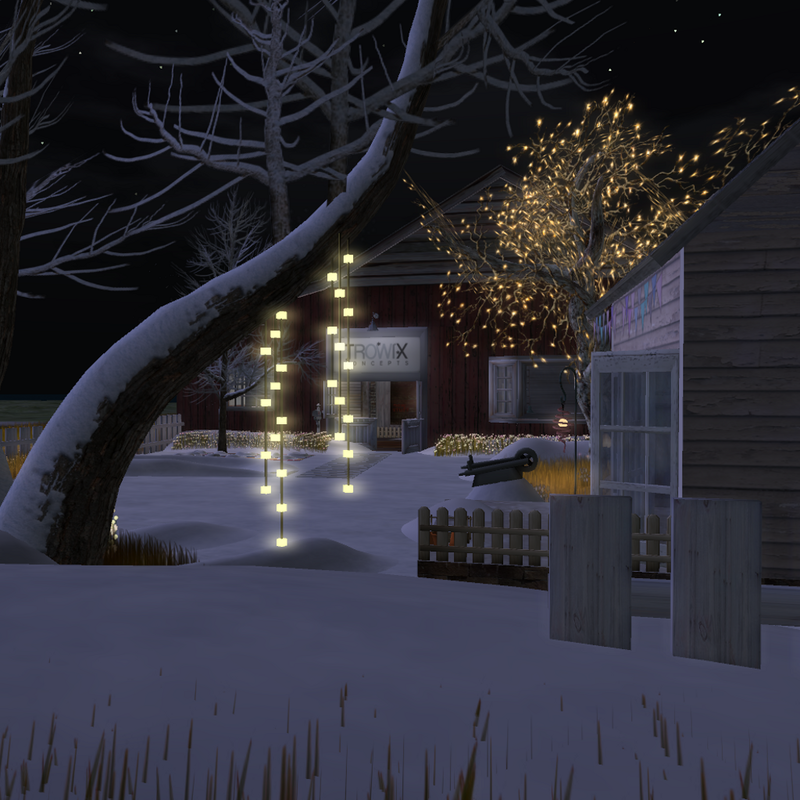 or stay at home, if you must, and visit SL’s Marketplace. 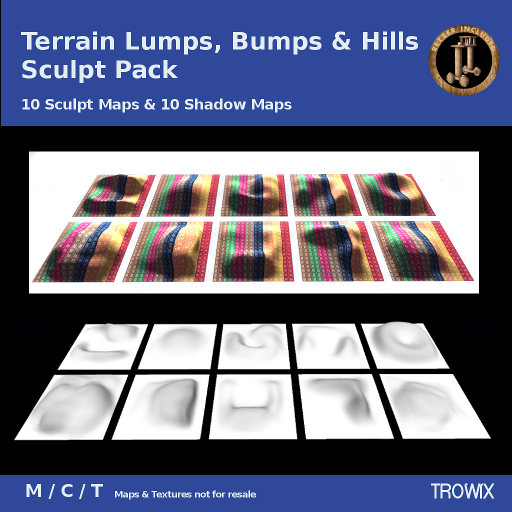 Surround trees, pile up straw by a fence, make leaf piles – the included shadow maps will add to the realism of your textures. 512 x 512 for faster loading. 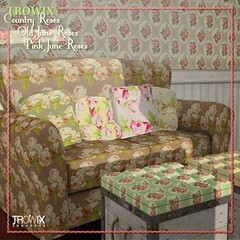 A festive country look for just a few prims. 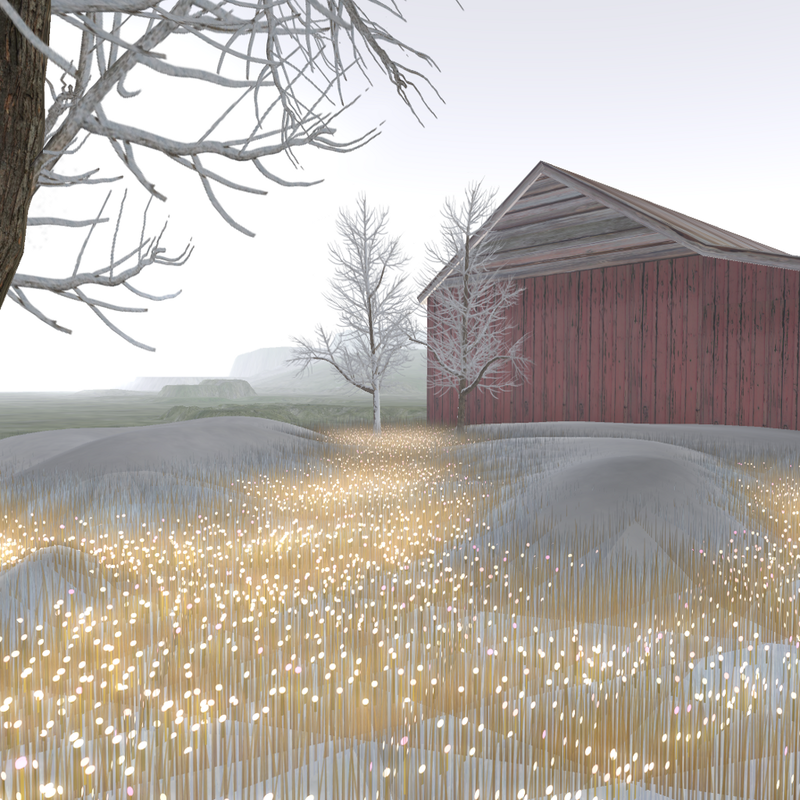 We’ve used our Grass & Flower bases, Autumn Meadow Grass textures, 1 Lots of Dots texture (available free in-store for a limited time) & Vertical String lights for this holiday look at the barn. Come see the new pretties on display at the Barn. Or stop by the SL Marketplace for your special delivery today! 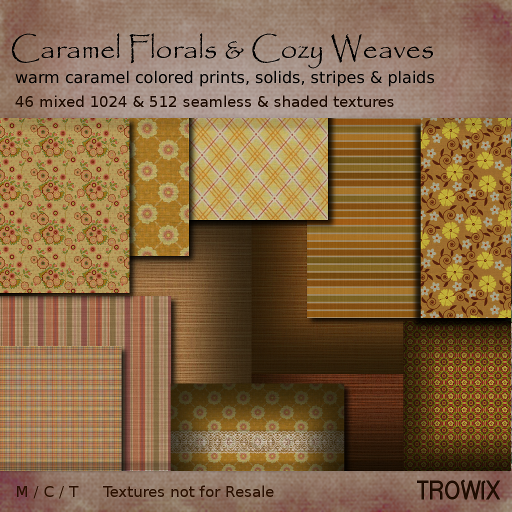 Caramel Florals Textures – Warm & Cozy! 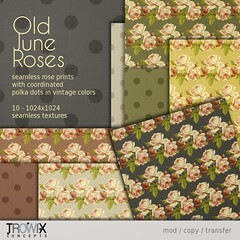 Tasty shades of warm caramels are the color theme for this versatile texture pack. 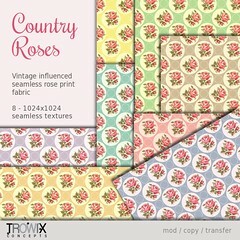 Florals, solids, stripes and plaids all with a woven look for extra depth and realistic feel. 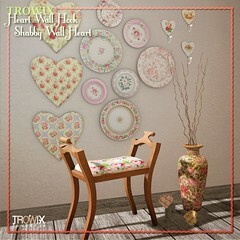 Sweeten up a build today with both seamless and shaded textures for your creating convenience. 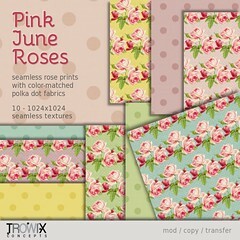 Lots & Lots of pretty fabrics to feed your imagination. 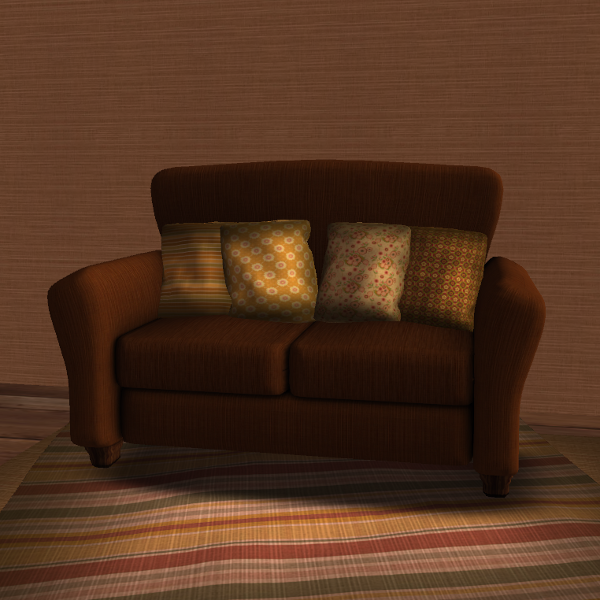 One of my favorite Demos – Looks so cozy! Wishing you a warm Winter! We’ve done a little holiday baking this week. 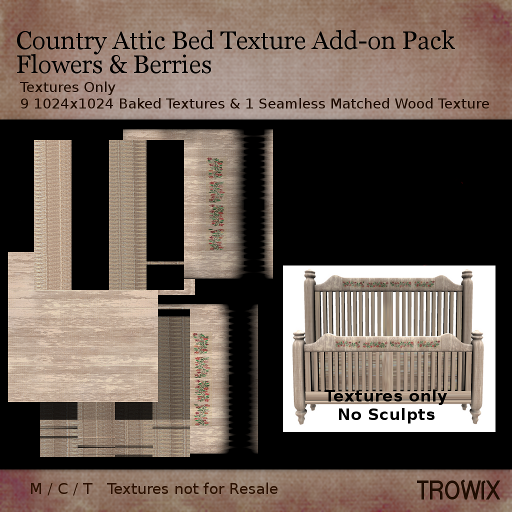 Two new holiday stencil sets for the Country Attic Bed and Table. 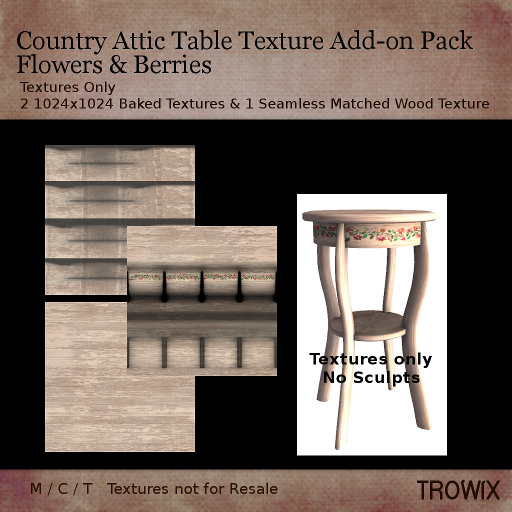 Happy red flowers and berries stenciled onto rose beige worn paint give this Baked Texture pack a comfortable appeal. Festive enough for Christmastime and subtle enough for all year ’round. 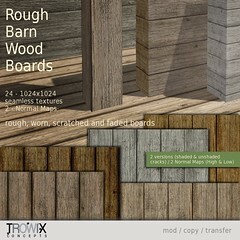 A seamless wood texture is included for your creative building needs. 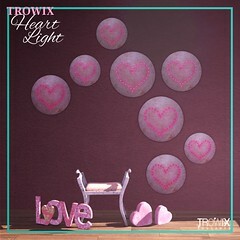 Shadowed Stenciled Textures perfect for long winters’ nights. Come decorate for Christmas, fast and easy! They’re here at the Barn.